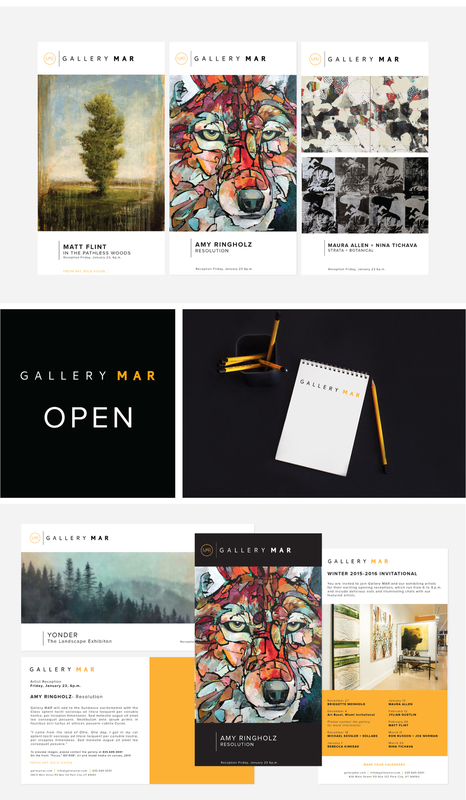 Gallery MAR, a fine art gallery in Park City, UT approached us to complete a full re-brand for the gallery. We created a brand that was fresh, modern and bright, just like the gallery itself. This project consisted of designing the new logo, stationary, branding elements, promo materials, storefront signage, and web materials for the visual elements of the gallery. 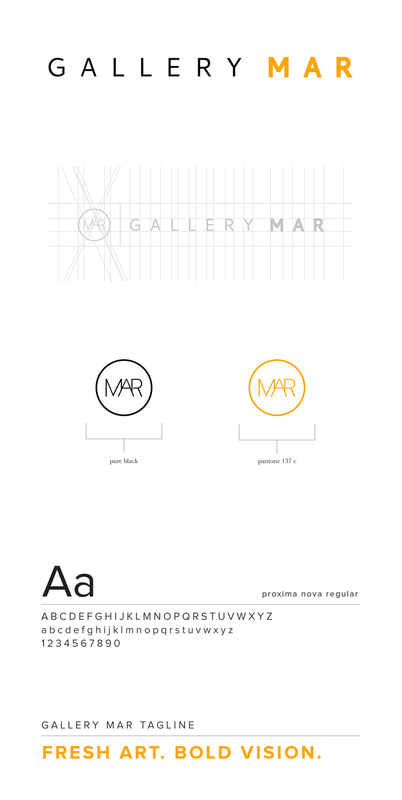 As well, we completed a re-brand of the verbal elements for Gallery MAR.